ILO News talked to Kenichi Hirose, Senior Social Protection Specialist, ILO-Budapest, and Iryna Peksheva, National Project Coordinator, Kyiv, about a new ILO project aimed at improving safety and health for Ukrainian miners. In June, they visited three mines to assess safety and identify areas for priority action. ILO News: Minerals and mineral products are the backbone of most industries and some form of mining or quarrying is carried out in nearly every country in the world. Despite considerable efforts in many countries, the rates of death, injury and disease among the world’s mineworkers remain high. What is the current situation like for workers in Ukrainian mines? Mining is a major industry in the Ukraine, employing 220,000 workers. There are more than 200 mines spread over the Donetsk, Luhanks and Dnipro region in the East, Lviv and Volyn regions in the West, and Zaporizhia region in the South. However, mining is one of the most hazardous industrial sectors. Too many miners suffer from work accidents, especially serious and fatal accidents, as well as occupational respiratory diseases. In 2014, there were 2,034 work accidents with 99 fatal cases in Ukrainian coal mines, and 220 work accidents, with 12 fatal cases in ore and non-metal mines. More than 80 per cent of the reported occupational disease cases occur in the mining and metallurgy industries. In March 2017, eight miners were killed and more than 20 seriously injured in an explosion at the Stepova coal mine in Western Ukraine. The costs of these work accidents are immense to workers, their families, as well as to employers and society as a whole. The Ukrainian mining industry was deeply affected by the armed conflict, which started in late 2013. Because two-thirds of mines are located in the non-government controlled area in the Donetsk and Luhansk regions, the sector has had to reduce its activities significantly. Some mines were closed down. Moreover, almost all institutions that conduct research on mining engineering and safety, and provide technical services on safety equipment, are found in these regions, making it difficult for mining enterprises to obtain the necessary technical services. Due to falling ore and coal prices, many mining companies have suffered financial losses, in particular less profitable, state-owned mines. The on-going armed conflict has further exacerbated the situation. In 2015, wages arrears in the mining industry amounted to UAH 557 million (equivalent to one month’s salary) for 80,000 workers. As many enterprises lack sufficient financing, they cannot allocate enough funds to ensure mine safety. ILO News: What are the major safety-related issues at the mines you visited? In June, we conducted a needs assessment mission jointly with the Occupational Safety and Health Expert, Wiking Husberg, and officials of the State Labour Service who are in charge of inspecting mines. We visited Ingulets open pit ore mine and Yevraz Sukha Balka underground ore mine in Kryvyi Rih city in the Dnipro region, and Stepova underground coal mine in Gluhiv village in the Lviv region. We also held focus group meetings with workers and managers during our visit. At Yevraz Sukha Balka mine, the ILO mission team went to underground mining operation sites at a depth of 1,340m. Underground workers are provided with personal protective equipment (protective clothes and boots, eyes-shields, ear-plugs, head lights, helmets and self-rescuers). They also have to undergo an alcohol check beforehand. Hazards, however, are found everywhere. Electrical trains to transport extracted ore use overhead open electric conductors. When a train comes one should stop and stand close to the tunnel wall to let it pass within a narrow distance. Cables hang from a reachable distance with a sign saying, “Be careful when waving your hands”. Many operations – drilling, roof shoring, material handling, shaft timbering – are still done manually. Work is done in strenuous body postures using heavy equipment, and miners are exposed to excessive noise, dust, humidity and vibration. 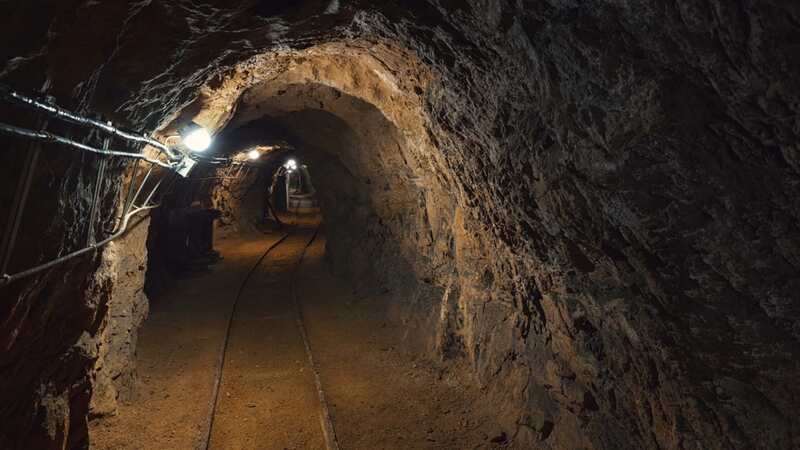 Two fatal mining accidents occurred (and one accident took place in a neighbouring mine in Kryvyi Rih) during the one-week ILO mission in June. One of the most frequently expressed concerns by the miners we spoke to about safety was the low quality of personal protective equipment. For example, respirators have been repeatedly re-used and are poorly maintained. ILO News: Could you outline some of the main goals of the ILO technical assistance project? The overall objective is to reduce work accidents and occupational diseases through the systematic development of modern Occupational Safety and Health (OSH) policies supported by an enhanced capacity of social partners. We believe that this project can have a meaningful impact on improving the safety and health conditions in the Ukrainian mining industry by focusing on the development and implementation of OSH policies in accordance with European Union directives and the Safety and Health in Mines Convention, 1995 (No.176) , which was ratified by the Ukraine in 2011, strengthening the capacity of social partners to implement practical OSH measures at the workplace level, and promoting a safety and preventative culture through sharing good practices. The project can help improve work accident prevention through a more effective implementation of risk assessment and OSH management systems. It is funded by the Canadian government, and will be implemented from May 2017 to March 2020.